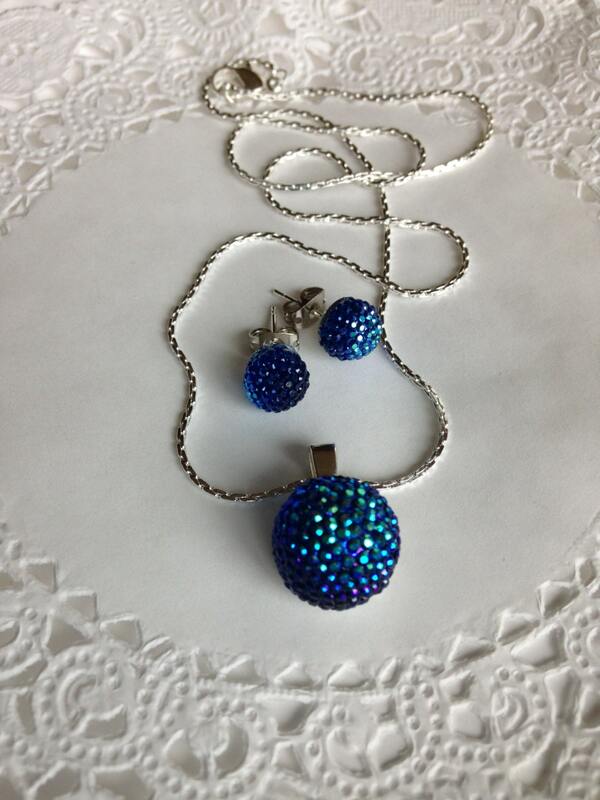 Match that prom dress with the galaxy collection Necklace and Earring set. 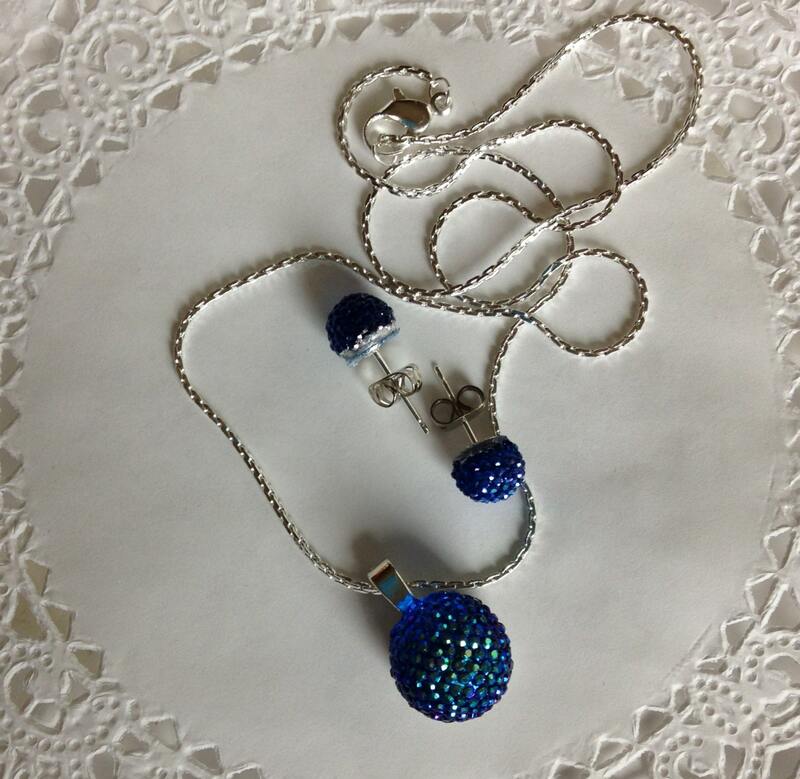 Beautiful sparkling acrylic colors that will look dazzling around your neck. The necklace pendant is 14mm in size. 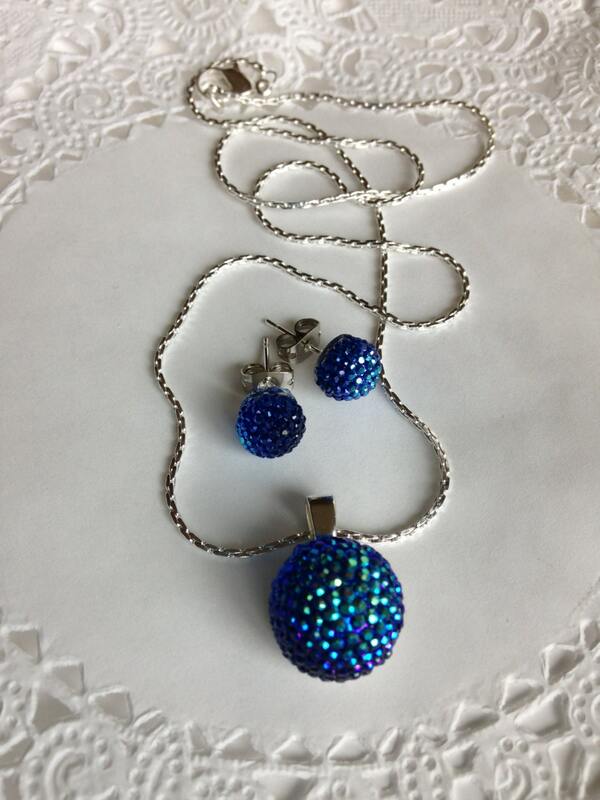 The earrings are each 8mm in size. They both have a brilliant shine. The necklace dangles from an 18 inch silver tone silver plated chain. Watch for other colors coming soon. These would also be great for a wedding party. If you need more than one set I can list more. I will be happy to make you a special listing for all your bridesmaids. These come in red too!